Sweeties New York Pastry Co.
As many probably know, the Greenpoint Food Market is no longer in operation — for now. Details and information about the events that lead to the market's untimely shut down, as well as big plans for the future can be read here. I am still in the process of looking for a venue to make Sweeties available to the public and look forward to becoming a part of the incubator kitchen that the GFM is planning to open in Greenpoint. 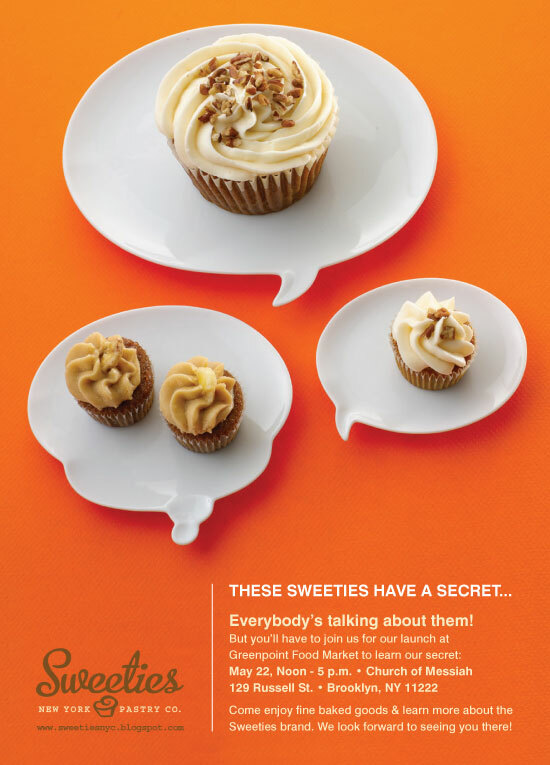 In the meantime, as the summer begins to draw to a close, I am looking ahead to fall and beginning to work on some new pure vegetarian/vegan Sweeties flavors: Pumpkin Spice with Maple Bourbon Buttercream frosting, and Chocolate Pecan with Molasses Rum Buttercream. The new recipes are currently being developed and I hope to have them taste-tested and ready to add to the Sweeties flavors roster by the end of October. Please stay in touch and keep checking back as more information for both Sweeties and the Greenpoint Food Market continues to develop. You can also follow along with my other culinary adventures here. The next Greenpoint Food Market will be held on June 26 at Church of Messiah, 129 Russell Street (in Greenpoint, Brooklyn), and I'm very much looking forward to being there. Hopefully I'll see you all at June and also July's GFM, and I'm currently looking into more options for giving everyone who has been asking about where they can get Sweeties a chance to try and buy them. Hi everyone! Just a quick note to let you know that a full website is coming soon. I have amazing product photos from a shoot I did in April with photographer Nathan Sayers (whom I've worked with many times over the years), and half of the site pages are designed. I'm hoping to have the site ready to launch by the end of June, so I'll keep you posted. I'm also working on the possibility of packaging a dry, prepare-at-home mix for each flavor. For now, I will continue to update the blog as necessary, and please feel free to contact me at sweetiesnyc [at] gmail.com for further information about Sweeties if you have any questions. Today is the day! Please come find me at the orange Sweeties table at the Greenpoint Food Market any time between Noon and 5 p.m. for a ridiculously decadent vegan cupcake and find out what all the fuss is about. 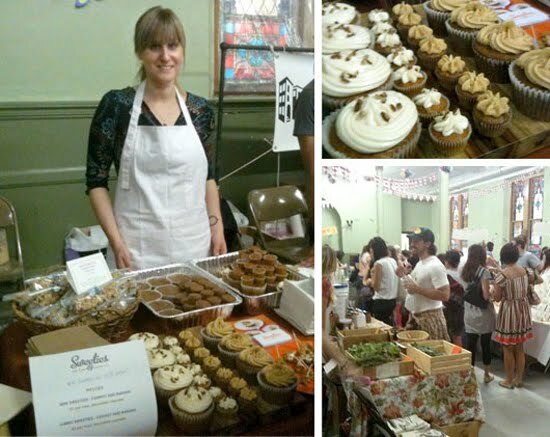 May 22, Noon - 5 p.m.
For more on the Greenpoint Food Market, visit the Greenpoint Food Market website. 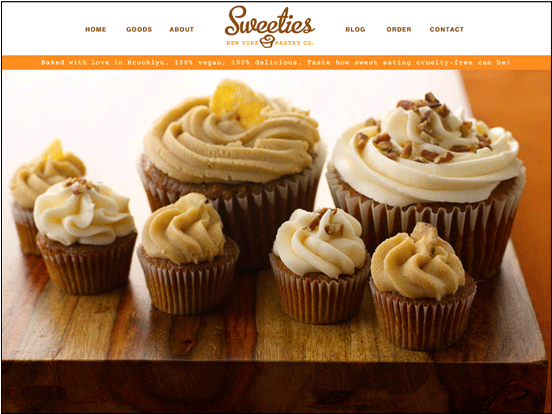 For more on Sweeties, visit the Sweeties New York Pastry Co. website.